The Indian Hotels Company Limited (IHCL) announced the signing of a new Vivanta hotel in Kathmandu, marking the entry of the brand in the city. This will be IHCL’s second hotel in Nepal after Meghauli Serai in Chitwan National Park, a UNESCO World Heritage site. Kathmandu has been at the center of Nepal’s history, art, culture and economy. 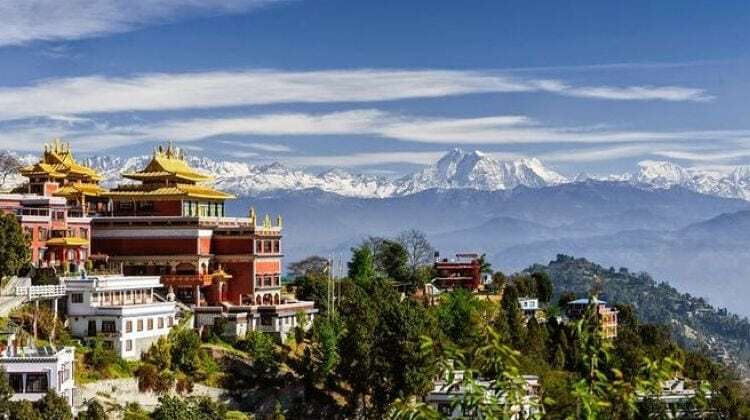 Some of the most popular attractions include the sacred and famous temple Pashupatinath, one of the biggest stupas in the world Boudhanath Stupa ,and Narayanhiti Palace Museum among others. Kathmandu also continues to be a popular destination for day trips to Dhulikel and Nagarkot from where Mt. Annapurna can be seen. The hotel will have approximately 111 rooms and suites with a selection of rooms offering panoramic views of the beautiful city of Kathmandu. The hotel will also include all-day dining and specialty restaurants, a bar, banqueting facilities and a spa. R&R Hotels and Resorts is established with a motive to add a milestone in the hospitality sector in Nepal; with a major shareholding of CG Hospitality, a group owned and controlled by Mr. Binod Chaudhary, the only Forbes listed billionaire in Nepal. CG Hospitality owns and operates over 95 hotels, resorts, lodges and spas in over 12 countries and 70 destinations with over 5,700 keys. By 2020, the portfolio is expected to grow to over 200 hotels in over 20 countries and 100 destinations with 10,000 keys. Sibkrim Land and Industrial Company Pvt. Ltd. chaired by Mr. Ravi Bhakta Shrestha, is a promoter shareholder company of R&R Hotels and Resorts, a 100% subsidiary owned by NE Group. The company is engaged in various verticals including hospitality, private equity, real estate, consumer goods, financial services and healthcare.